Dr. Saeedeh Salmanzadeh is a physician with Topeka-based Stormont Vail Health. She became a U.S. citizen in 2015 after immigrating to the United States from Iran, one of seven countries included in President Donald Trump’s travel ban. She had spent three years practicing alongside her husband — also an immigrant from Iran — in Aberdeen, S.D., where they were the only pediatricians in a town of about 27,000 people. She had spent a decade practicing in Topeka — expanding her patient list, buying a house and putting down roots. At the naturalization ceremony, Salmanzadeh made the last step in that process, taking an oath to support and defend the laws and Constitution of the United States of America. Afterward she had a few things she wanted to say. But she fears that might be changing. An executive order signed Jan. 27 by President Donald Trump barred travelers from her home nation and six other majority Muslim countries from which Barack Obama’s administration had restricted visas in 2015 because of concerns about terrorism. The travel ban has since been blocked by a federal judge, but the Trump administration is fighting to restore it or implement a new version. The abruptness of the ban caused havoc at the nation’s airports as some people who were en route to the United States or had landed were told they could not enter. Many industries were affected, including an American medical system that relies increasingly on foreign labor. Health centers nationwide, including some in Kansas and Missouri, have long rolled out the welcome mat for foreign doctors. Rural areas in particular have benefited from a special “J-1 visa waiver” program for immigrant doctors who agree to work in underserved areas. That’s what Salmanzadeh did. But others like her are now caught in the middle as a flashpoint debate over national security intersects with a more long-running discussion about how the U.S. fills its doctor shortage. “If they want to continue (the ban) I am sure the places like Aberdeen, South Dakota, or very underserved area(s) … they are going to be affected most,” Salmanzadeh said. According to the Migration Policy Institute, immigrants accounted for 27 percent of U.S. physicians and surgeons in 2010. The Medicus Firm, a company that recruits doctors on behalf of clients like hospitals, says that includes more than 15,000 doctors from the seven countries named in the ban: Iran, Iraq, Yemen, Sudan, Somalia, Syria and Libya. The majority of them come from Iran. Some, like Salmanzadeh, left amid growing unrest that included student protests in 1999 and a government crackdown that followed. Salmanzadeh said that at her house in Topeka the travel ban led to a series of frantic phone calls with family members back in Iran who wondered whether they would be able to see each other. Salmanzadeh is one of six physicians from countries named in the ban who are employed by Topeka-based Stormont Vail Health. A statement from the company said its physician support services division was in touch with an immigration lawyer to make sure those who are on work visas are able to stay. “We want to support them in any way we can during this unsettling time,” said Dr. Robert Kenagy, senior vice president and chief medical officer. Nathan Miller, a senior vice president of recruiting for Medicus, said the company’s data show that 269 doctors from the seven countries named in the Trump administration travel ban are practicing in Kansas and Missouri. Stormont Vail isn't the only health system in the region affected. Nathan Miller, a senior vice president of recruiting for Medicus, said the company’s data show that 269 doctors from the seven countries named in the ban are practicing in Kansas and Missouri. They’re doing everything from primary care to heart surgery, and Miller said they’re generally the cream of the crop from their home countries. “These are the top performers,” he said. The doctors from the seven countries named in the travel ban represent only about 1 percent of the approximately 25,700 physicians in the two states. But Miller, like Salmanzadeh, said they’re disproportionately working in rural areas. Dozens of physicians groups, including the American Medical Association, came out against the travel ban after it was announced. But the Association of American Physicians and Surgeons was not among them. Jane Orient, the executive director of the group for conservative doctors, said the precautions are justified until immigrant vetting processes improve. “We have a national security problem, and we need a better way of assuring that people that are coming here are really coming to be Americans and not to blow people up,” she said. Orient said she does not dispute the clinical abilities of the doctors coming from abroad, and most are “perfectly normal people” who don’t intend to cause any harm. But she said the outcry over the ban has exposed the U.S. health system’s over-reliance on bringing in foreign doctors. There’s an alternative, she said: Make room for the thousands of U.S. medical students every year who fail to “match” with one of the country’s coveted residency slots and have their dreams of becoming a doctor delayed or denied. Medical students fail to match with residency slots for a number of reasons, including receiving low scores on a licensing exam or reaching for competitive slots and not having an adequate backup. Residency slots at hospitals across the country are funded in part by Medicare. A 1997 bill meant to restrain federal spending limits how many are available. Orient said it’s time for an update. Les Lacy is the vice president of regional operations for the Great Plains Health Alliance, a nonprofit that promotes rural health care and hospitals in Kansas and Nebraska. He agreed that in the long-term the only cure for the rural physician shortage is more homegrown doctors. But that takes time. Meanwhile, state governments are considering several stopgap measures such as increasing telemedicine or allowing mid-level providers like advanced practice registered nurses to do more. Kansas Gov. Sam Brownback wants to increase residency slots, and Kansas and Missouri are among the first states (along with Arkansas) to pass laws allowing medical students who don’t match to practice in underserved areas under the supervision of another doctor. None of the measures are perfect solutions. “If it was a silver bullet, we would already have pulled it out and pulled the trigger on it,” Lacy said. Hiring firms like Medicus to bring in foreign doctors under the J-1 visa is also an option, but Lacy said it’s falling out of favor. Foreign doctors often experience culture shock in rural outposts and rarely stay after their three years are up, he said. Then hospitals are back in the recruiting game. Salmanzadeh said the biggest reason she left Aberdeen for Topeka was to be closer to a sister who lives in Lawrence. But she is more comfortable in Topeka, with an Iranian-American community in nearby Kansas City, she said, and the cultural challenges of rural practice were greater. Another state, Minnesota, is making investments to try to bridge that gap. Michael Westerhaus is a professor in the University of Minnesota’s Department of Medicine. He’s also a primary care physician at the Center for International Health, a clinic in St. Paul that was established in 1980 to care for the influx of Southeast Asian refugees after the Vietnam War. 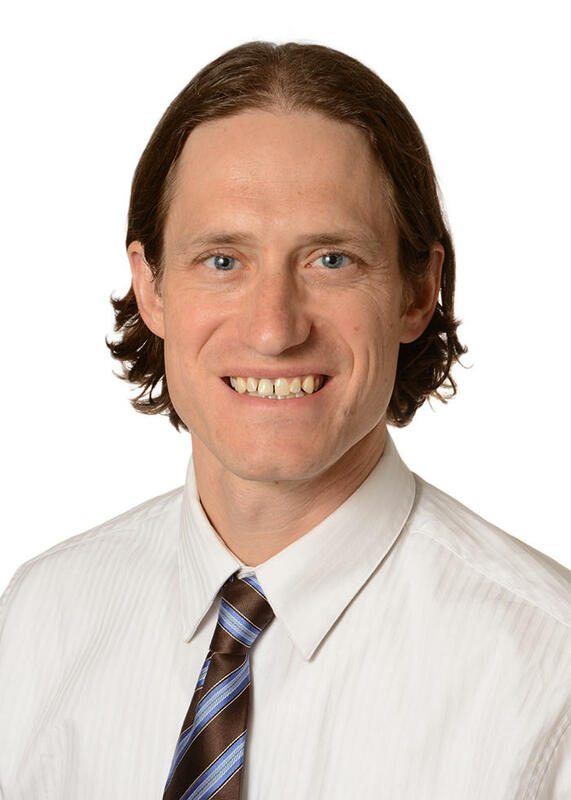 Michael Westerhaus is a primary care physician at the Center for International Health, a clinic in St. Paul serves as a training ground for immigrants with overseas medical experience. Minnesota continues to be a haven for refugees, most recently thousands of Somalis displaced by civil war there. Westerhaus said that in addition to providing treatment, the St. Paul clinic serves as a training ground for immigrants with overseas medical experience. Like Miller and Orient, Westerhaus said the clinical abilities of the foreign physicians are often top-notch. But there are new things they need to get used to in the United States. Some are technical, like using electronic medical records. Others are cultural, like learning to give patients a set of treatment options and letting them choose, rather than dictating what will be done. “A lot of the work we do is around development of those kind of skills,” Westerhaus said. The Minnesota Legislature recently appropriated $1 million to address a physician shortage there that is expected to grow to between 2,000 and 4,000 doctors by 2025. Some of that money will be used to pay for more residency slots, but a portion will go to Westerhaus’ clinic to establish a formal training program for the estimated 400 to 500 immigrant physicians in the state who aren’t licensed to practice in their new country yet. To qualify they will have had to live in Minnesota for two years and commit to spending five years practicing primary care in an underserved area after they complete the program. Westerhaus said the communities they go to have nothing to fear. Salmanzadeh said she would support the travel ban if it would truly make America safer. But she wonders why her native country was chosen while countries like Saudi Arabia — home to most of the 9/11 attackers — was not, and she fears extremists will use it as a recruiting tool. Updated 10:40 a.m., February 7th. Just Monday morning, The Della Lamb Community Service Agency learned a family of nine scheduled to be resettled in Kansas City last week will now arrive on Wednesday. The news comes after a federal judge in Washington rescinded President Trump’s travel ban on incoming refugees last Friday night. How are the first few weeks of the Trump administration affecting Kansas City? On this international edition of Up To Date, host Steve Kraske is joined by the BBC's Shaimaa Khalil to hear what callers are thinking about President Trump's executive orders concerning an immigration ban and repeal of the Affordable Care Act.